Merry Wrath has seen dangers galore in her former job as a CIA field agent. But nothing has prepared her for this—an overnight Mommy and Me lock-in with her Girl Scout troop, complete with movies, dodgeball, four cats, a baby…and a dead body. When the mysterious corpse’s identity is revealed, Merry and her former handler, Riley, realize they might have a domestic terrorist situation on their hands...one that needs diffused quickly before any more dead bodies appear. 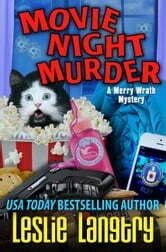 Merry once again calls on her former professional skills to track down a killer. Between a new, hottie female medical examiner—who seems a bit too interested in Merry’s boyfriend, Rex—the demanding President of the United States, the world’s 2nd largest snail collection, and an incident with pink hair dye, Merry has her work cut out for her. Can she stop an attack before it begins? Or will this be one Movie Night without a happy ending? 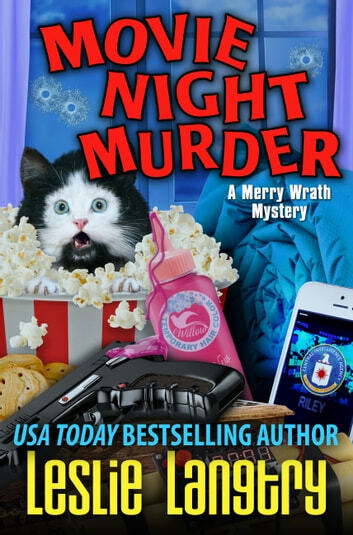 "Darkly funny and wildly over the top, this mystery answers the burning question, 'Do assassin skills and Girl Scout merit badges mix…"
"Langtry gets the fun started from page one with a myriad of clever details."